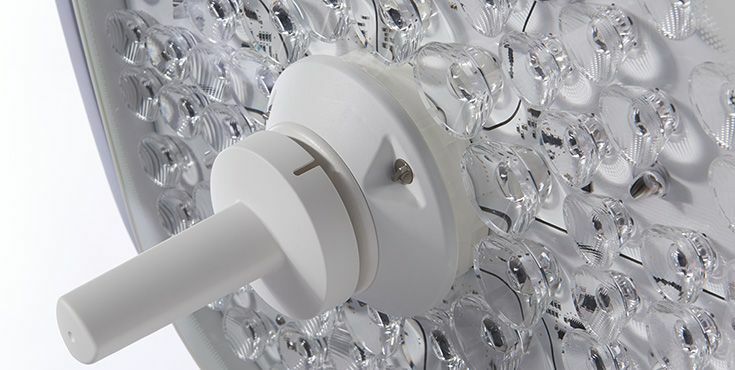 We present innovative light technology in a compact unit. marLED® X is more versatile for illumination than any other system. Even more: anyone can operate the light system at once without difficulty. No longer any need to learn how to operate it. Clear icons ensure that every action is completely intuitive. marLED® X is extremely simple. 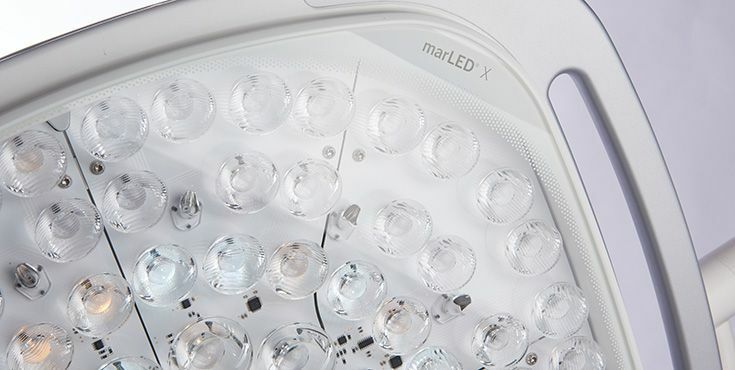 You can manage all situations in the operating theater with marLED® X – regardless of the light intensity, size of light field or color temperature required! Every single one of the LEDs can be actuated individually. Variable light field geometry, matrix light function, active shadow management and LightTube with separately configurable parameters give you the widest possible range of setting options. You have several options for operating marLED® X. The control panel on the light for setting the main functions or the optional marTouch® Pro control unit, which can be used for individual configuration of all parameters. You can use the touch-sensitive marTouch® Pro controller to adjust every parameter for your specific requirements during the operation. And even better: you can set your own "personal light", i.e. the precise light settings that you prefer. 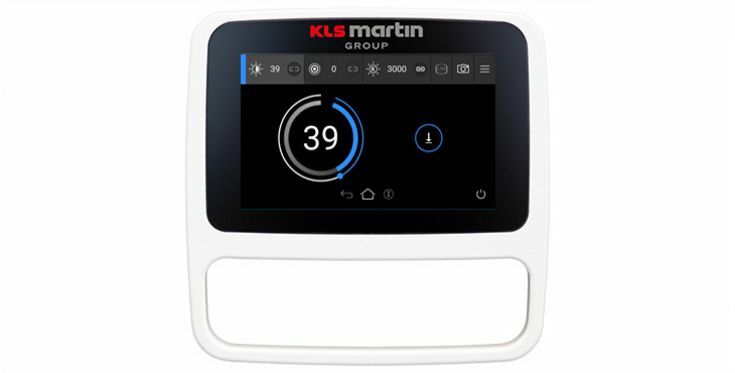 You can also control all the functions of the KLS Martin camera systems without difficulty. All completely intuitive with the self-explanatory, icon-based operation of the touch screen. The marLED® X has a consistent slimline shape. Particular attention has been paid to a closed surface and flow-optimized housing design. Both features ensure that the body of the light can be cleaned quickly and thoroughly. The safety glass of the operating light and the IP protection class substantially increase safety and service life.